Spy drama Mask continues the strong performance from last week with CSM52 ratings that have not once dipped below 1% since it premiered. 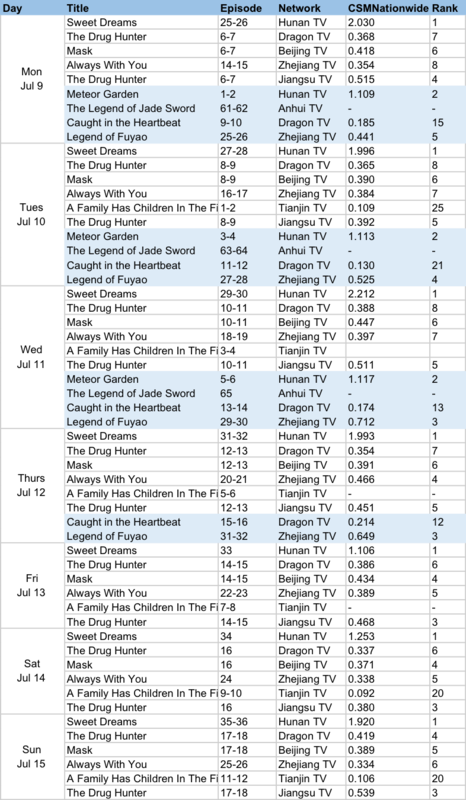 Sweet Dreams garnered CSM Nationwide ratings of 2.2% which counts as another series high. After months of inactivity, tv shows at the 10pm slot are starting to show signs of life. 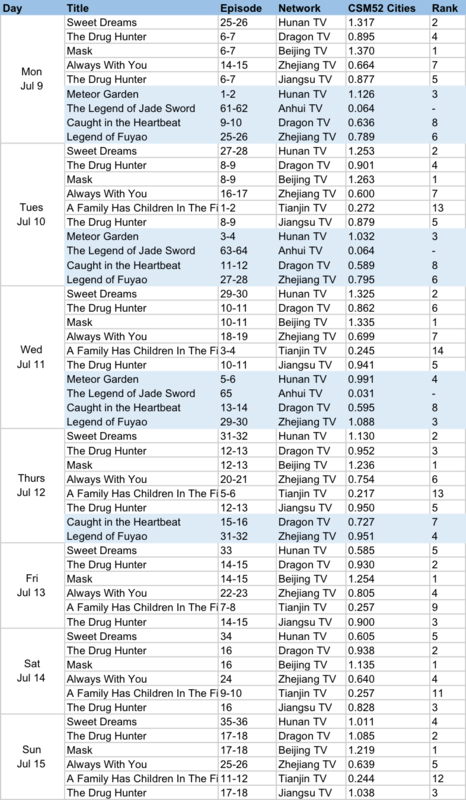 Both Meteor Garden 2018 and Legend of Fuyao have managed to break CSM52 ratings of 1%. Online rankings continue to be led by Legend of Fuyao and Sweet Dreams. Third place goes to cop drama The Drug Hunter. For a drama that is led by Yu Hewei aka Cao Cao of Advisors Alliance, I expected more in terms of viewership ratings, but it looks like the numbers game really isn't so easy to predict. Meteor Garden 2018 and The Destiny of White Snake come in fourth and fifth place. Both premiered on July 9 and are on their first week. Is anyone else watching Take My Brother Away (快把我哥帶走)? It surprisingly surpassed my expectations. A lot of people complained about the teaser because they were fans of the animation and people were more supportive of the upcoming movie version. 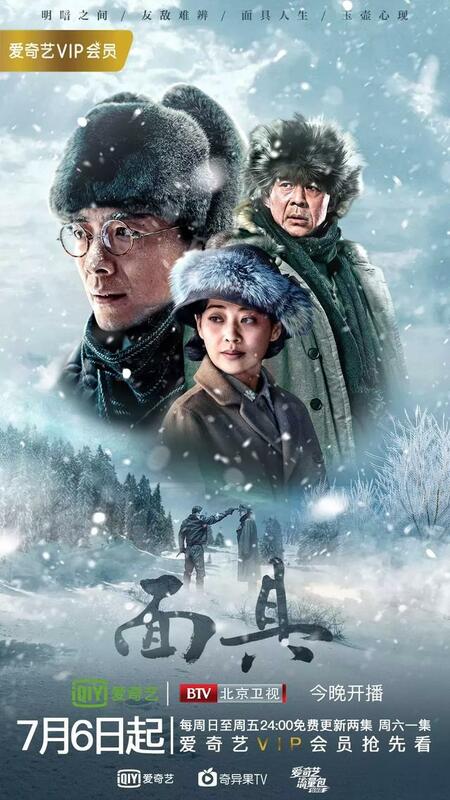 It is quite heartwarming and although some of the scenes and characters are exaggerated, it is quite relatable. I also like the short narration at the end of every episode. Still loving Legend of Yun Xi. This drama is greatly exceeding my expectations so far. I am watching the new drama Youth 2018 which is a slice of life based on korea drama (Age Of Youth or Hello My Twenties).